In the morning, you will visit the Everglades National Park; once you return to Miami, you will enjoy the Biscayne Bay Sightseeing Cruise. 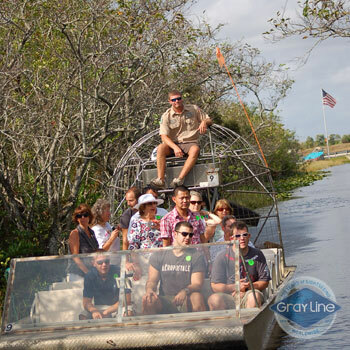 Take a journey with one of the comfortable airboats into the wilderness of Miami! 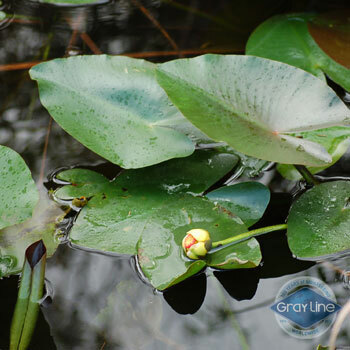 During a thirty-minute adventurous ride you will be able to spot some of the wilderness' exotic creatures - alligators, turtles and native flora and fauna can be seen in their natural environment. You will also be able to enjoy the breathtaking panoramic views, lush vegetation and tranquility away from city. 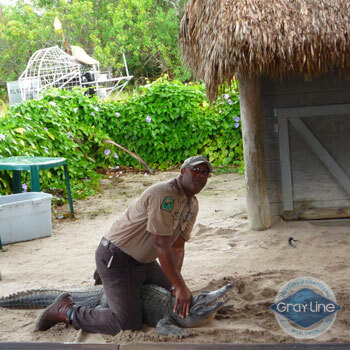 After the Everglades airboat tour, you will see the alligator wildlife show and experience the jungle walking trail filled with crocodilian exhibits. This venue has ample facilities throughout, a restaurant and a gift shop. It's a truly memorable and exhilarating adventure. 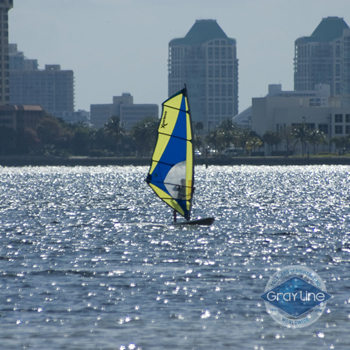 An unforgettable way to see Miami is from the tropical waters of Biscayne Bay. 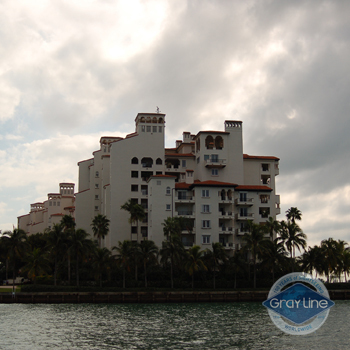 During this cruise see the city skyline, Fisher Island, Miami Beach and the port of Miami's cruiseships and cargo districts. Also, check out the homes of the rich and famous including Gloria Estefan, Shaquille O'Neal, P Diddy, Rosie O and many more. 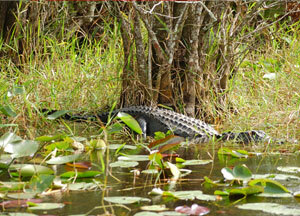 During the visit to the Everglades all narrations are in English only. 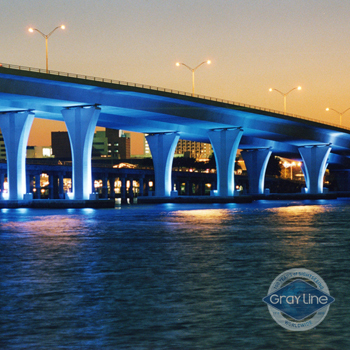 Biscayne Bay Boat narrations are in English/Spanish. 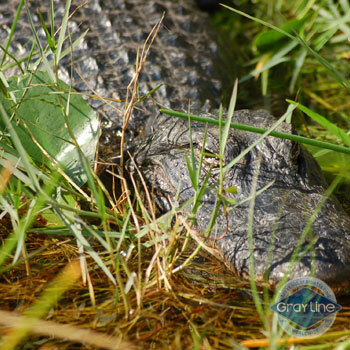 Everglades Airboat Adventure departs from Miami Beach and Downtown Miami Hotels or at Gray Line Central Station at Bayside Marketplace. 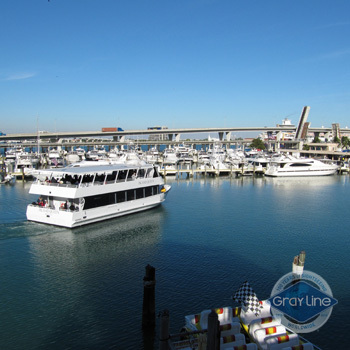 Biscayne Bay Boat Tour departs from Island Queen Pier at Bayside Marketplace every hour from 11:00am to 7:00pm. Please call 1.877.643.1258 or email at reconfirm@graylinemiami.com 48 hours prior to reconfirm details. Printed vouchers will be collected upon boarding. Tickets purchased on www.graylinemiami.com are refundable*. If cancellation is made up to 24 hours prior the departure date, you will be charged a 10% service fee. Cancellations within 24 hours will incur a 100% service charge. Cancellation has to be done by email.No show is not refundable.